The final rehearsal weekend before the studio session is over. The songs sound good, groove well, make your head bang and send the chills down the spine. 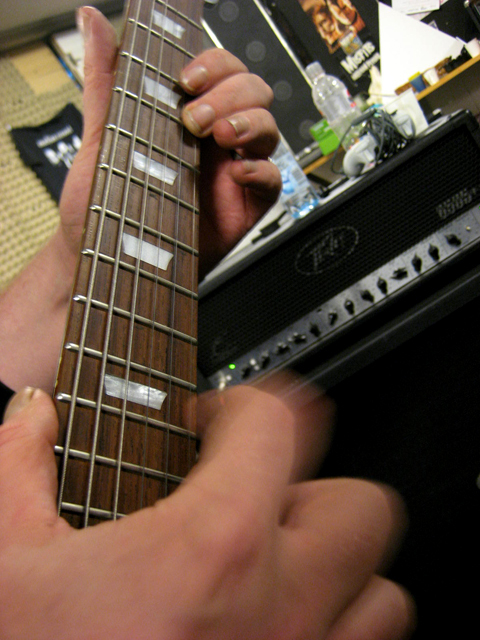 Again, we grinded some details, but mostly just played tracks through to achieve confidence for the studio. This is how the world looks like from a drum-point-of-view. We are going to nail down eight songs at D-Studio under the iron command of Jarno Hänninen. We are familiar with the place as we recorded a couple of songs there in the end of 2010. Its a high-quality facility with cozy sofas and a decent kitchen. Old saying goes, that armies march on their stomachs. Noumena members definitely play well only with a marvellous supper waiting after a hard day. This is why we appreciate good cooking conditions. 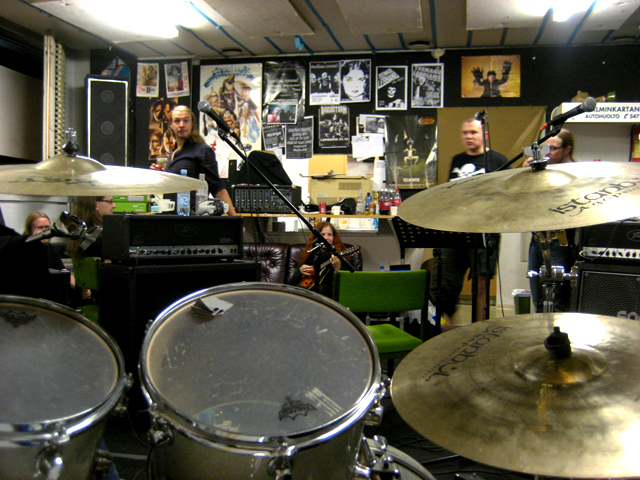 So, trooper Ilkka and lots of gear, guns and ammunition are already at the front in order to launch an infernal drum attack tomorrow morning. Operation Zombaiaa aka Noumena's recording session 2012 is ready roll.